Lin-Manuel Miranda Is Getting Hyped to Save One Day at a TimeSurely there’s still some TV execs who haven’t seen Hamilton and need the hook-up. You Won’t Believe What Rita Moreno Admits to Doing at the Kennedy Center HonorsWhat’s it gonna take to get Netflix to renew the show? One Day at a Time Season 3 Trailer: That Settles It, We Must Have a PartyReturning to Netflix February 8. Obviously They Weren’t Going to Remake West Side Story Without Rita MorenoMoreno will play “Valentina,” a new role in Spielberg’s movie. Rita Moreno Delivers a Moving Reading of ‘The New Colossus’ on Fourth of JulyGive her another Emmy just for this. Gloria Estefan Will Play Rita Moreno’s Archnemesis on One Day at a TimeLegends battling legends! In Praise of Rita Moreno on One Day at a TimeHer performance is a marvel of comedic timing and dramatic flair. 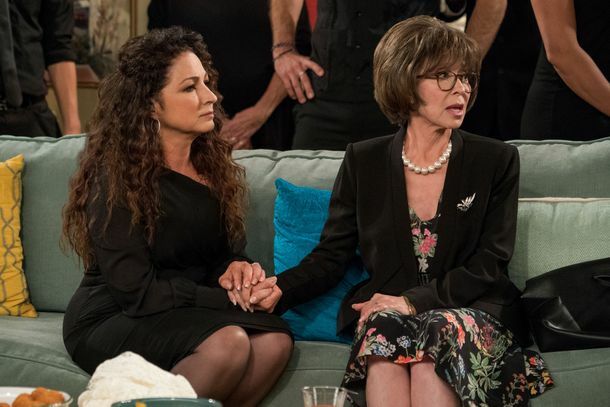 One Day at a Time Is Back, and Rest Assured, It’s Still GreatRita Moreno is physically incapable of being anything less than delightful. Your Grandparents Rita Moreno and Norman Lear Scootered Into the Golden GlobesBeep beep. 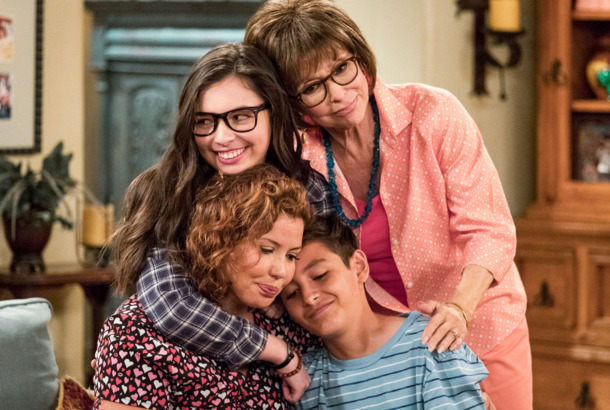 Watch One Day at a Time Re-create the Original Sitcom’s Opening CreditsThe Netflix comedy will return for a second season on January 26. All the Rita Moreno GIFs From One Day at a Time You Need in Your LifeGoals. Why Was The OA So Divisive?Plus, Rita Moreno on her eight-year affair with Marlon Brando. Netflix’s One Day at a Time Is Unpretentious, Artful, and a Pure DelightThis is the sort of series that makes difficult things seem easy. Watch Norman Lear’s One Day at a Time TrailerPremieres on Netflix January 6. Justina Machado in Netflix’s One Day at a TimeRita Moreno will play Machado’s mother.